Do you have vintage clothing items that need to be cleaned? Perhaps you have some household items that need a good scrub down? But wait, don’t dunk them in a basin full of soapy water just yet! Improper cleaning methods can damage these items in more ways than one. Dirt and grime that may have accumulated on the material through time won’t be easy to remove either—just think about the manual labor you would have to do to accomplish that! And besides, a manual wash doesn’t always guarantee that your clothes or household items (such as curtains, bed covers, table clothes, and whatnot) will end up looking like new. Unless you don’t have the proper techniques and equipment for it, you might end up damaging the material. You have to remember that not all dyes used to color and design clothes are waterproof. And if you make the wrong decision of giving them a wash in the laundry, the colors will inevitably bleed out and ruin the design. But with the aid of the chemicals used specifically in dry cleaning, the colors of your garments should remain vibrant for a long time. As you may have noticed, not all the clothing items you have in your closet have the same texture. With each texture comes a different requirement for cleaning. At the dry cleaners, we sort these fabrics according to varying textures and treat them with the proper cleaning procedure to ensure that the quality of the fabric is not affected. Laundry washing causes clothes to rub against each other and eventually lead it to becoming worn and torn. But with dry cleaning, dirt and stain are removed in a gentler manner which improves the durability of even the most delicate of fabrics. It even prevents the material from shrinking too! Let’s face it. 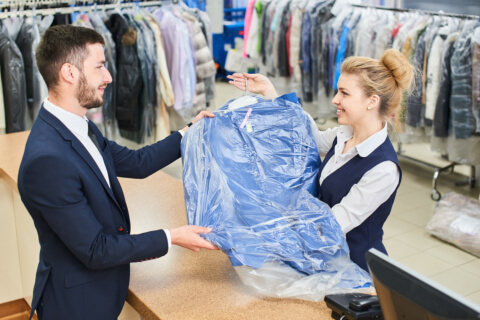 In this busy day and age, who has spare time to worry about laundry when you can have dry cleaning, laundry services, clothing alterations, and more done by ASAP Cleaners? 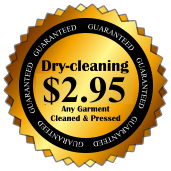 Our Dry clean in Owing Mills, Maryland only uses environmentally-safe cleaning supplies. Our service will leave no residual odor on your clothes and protect them from discoloration during the cleaning process. We even have garment specialists on our team that are tasked to inspect the clothes for compliance to quality standards before they are made ready for you. Do you have other questions in mind about our service? This entry was posted in Dry Cleaning and tagged convenient, Laundry Care, Laundry Services. Bookmark the permalink.